Green Hornet - Pinewood Derby 3D Design Plan - INSTANT DOWNLOAD! "This design came with detailed instructions that made our job much easier. It was perfect and downloaded instantly so we could get started right away!" Sting the competition with the Green Hornet pinewood derby car design. You can build this car! 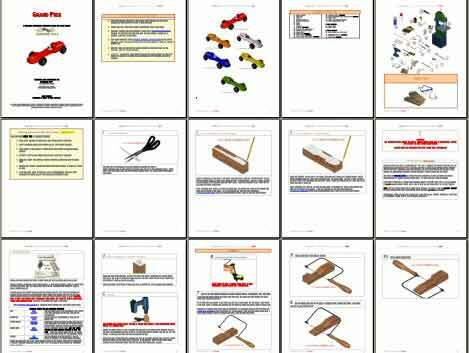 Complete pinewood derby design plan with full instructions, 3D AutoCAD graphics of the car showing each cut, weight placement, hints, building tips, tool list and car cut-out templates to use as a cutting guide. We even show you your car in 6 different colors, plus give you a 360 degree animation of the Green Hornet derby car so you can view it from all angles! The Green Hornet car is modeled to look like the Green Hornet movie car. While we can't make a replica, this car gives you the look and feel of the Green Hornet. We encouraged you to experiment with the car and send us pictures of for our picture gallery. 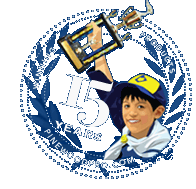 Build the Green Hornet Pinewood Derby car with our easy step-by-step instructions, fully illustrated with 3D AutoCAD images that show each cut, along with weight placement, building hints, tips and painting guide. The cut-out template guide your saw so you can't make a mistake. We even show your car in 6 different colors, plus give you a 360 degree animation of the final car so you can view it from all angles! Download the Green Hornet direct to your computer in seconds to view on your screen and save to your computer. This design came with detailed instructions that made our job much easier. It was perfect and downloaded instantly so we could get started right away! The only thing missing was a green hornet decal. Makes a good looking car without alot of work. worked well for my 9 year old , made it so she could follow the instructions and do it her self. Made instructions so changes and self expretions were easy. It was designed with easy instructions so my 8 year old could follow it easily.